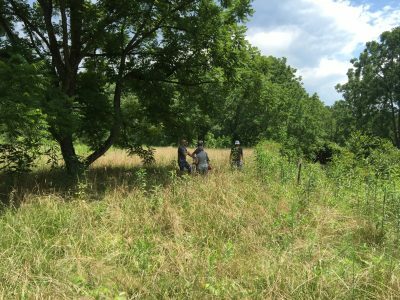 Mainspring Conservation Trust, a regional land trust based in Franklin, closed Wednesday, April 26 on 13.9 acres off Siler Road that borders Southwestern Community College, Macon Early College and the Macon County Public Library. 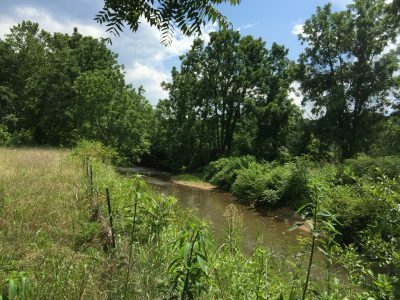 The land includes 1,200 feet of Cartoogechaye Creek and was identified in the original Greenway plan and in the recent “Bike Walk Franklin” plan as an important tract for extending the Greenway closer to the Macon County Recreation Park. When the property became available for sale, Mainspring was contacted by several county residents asking them to acquire the property and hold it until it could become part of the Greenway system. Sharon Taylor, Mainspring Executive Director, said they were glad to step up for the community. “This is one of those great projects that touches all three of our core initiatives: conserve the land, restore the water and connect people to nature.” Although Mainspring will not be part of extending the County owned Greenway, Taylor feels there is much support for the extension and looks forward to working with the County leaders to help make it possible. Currently celebrating its 20th anniversary, Mainspring has conserved more than 25,000 acres and connected thousands of youth to nature in the six western-most counties in North Carolina and northern Rabun County, Georgia. Learn more at mainspringconserves.org.